Malaysia is a mega-diverse country with an incredible number of land species – it is estimated to contain 20 per cent of the world’s animal species – and whose coastal waters form part of the equally rich Coral Triangle. 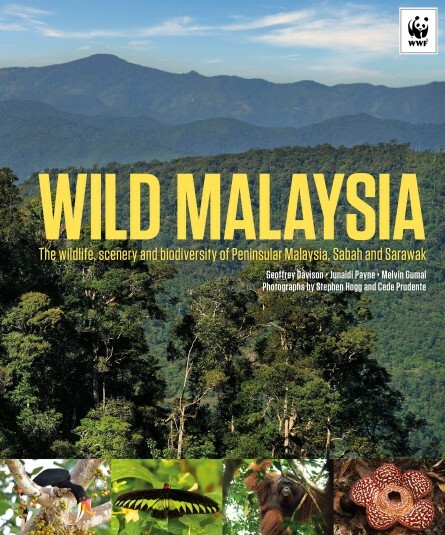 Written by a team of local experts, Wild Malaysia looks at the most important habitats within the three divisions of the country: Peninsular Malaysia, Sarawak and Sabah. The habitats cover a fascinating range including pristine rainforests, limestone complexes, wetlands, coastal regions, caves and highlands. A unique feature in each chapter is the ‘Guided Tour’ which takes readers to specific habitats to explore the trees, birds, plants and animals to be found there. Illustrated with Stephen Hogg’s vibrant photographs, Wild Malaysia provides an authoritative and entertaining survey of the wide spectrum of wildlife on the land and in the seas of this diverse country. Dr Geoffrey Davison has spent all his working life in Southeast Asia, as a university lecturer in Malaysia, a conservationist with WWF, and now with the National Parks Board, Singapore. His interests range across ornithology, tropical forest ecology and animal taxonomy. He has written numerous scientific papers as well as books, including the bestselling Naturalist’s Guide to the Birds of Malaysia. Melvin Gumal was born in Sarawak and was educated at the University of Melbourne, Australia and the University of Cambridge, England. After heading Sarawak’s National Parks and Wildlife Division’s Education and Interpretation Unit for 12 years, he is now head of the Malaysia Program for the Wildlife Conservation Society. His current interests are in bats, elephants, Orang-utans, tigers and their habitats. Junaidi Payne has worked with WWF-Malaysia in Sabah from 1979, and now focuses on the Sumatran Rhinoceros and on oil-palm issues. His previous publications include scientific papers and a number of popular reference books, including Wild Sabah.